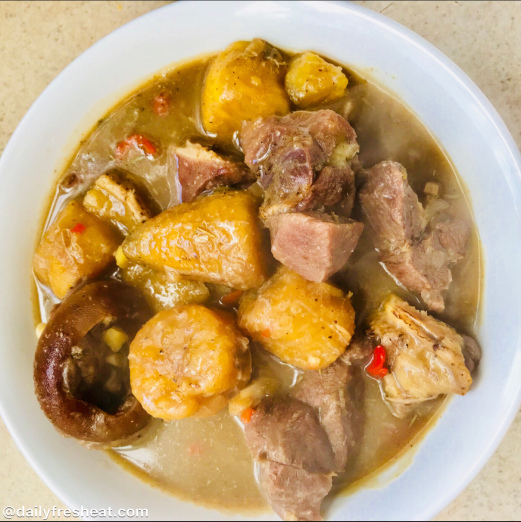 This Nigerian style peppersoup is one of the many meals you can make with plantain . However, it can also be prepared with yam and any other form of protein. 1. Peel and slice the plantain into small pieces and set aside. 2. Wash and chop the goat meat. 3. In a clean big pot, put the cleaned meat, add the onions, ginger, garlic, seasoning cubes and salt to taste. 4. Place on low heat and leave to simmer for 5-7 minutes. 5. Add some more water and leave to boil for another 10 minutes without the lid. 6. Add the plantain and cook till it softens. 7. You should have at least 5 cups of water left at this time. If you don’t, add some more. Then add the Pepper Soup Spice and Pepper. Taste for seasoning and adjust as necessary. 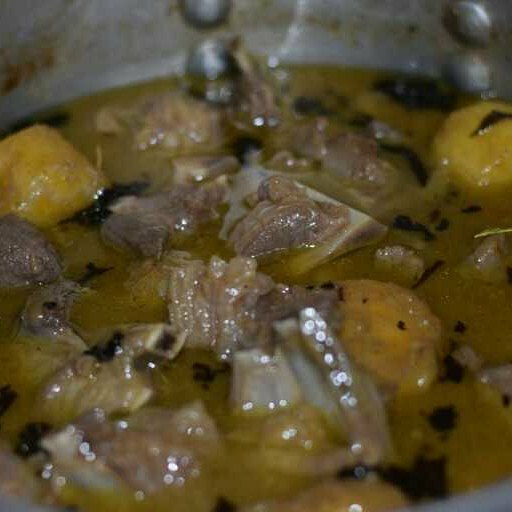 Then leave to cook till the Goat Meat and Plantain are very soft. Your peppersoup is ready! Serve with a cold beverage.